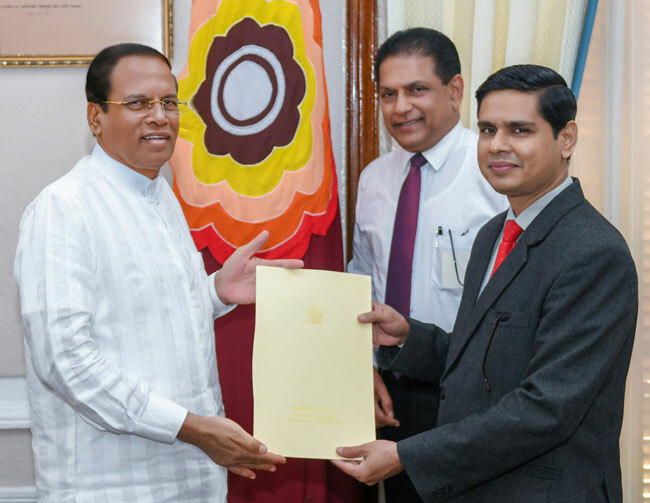 He received his appointment letter from President Maithripala Sirisena at the Presidential Secretariat on Thursday (08). Dissanayake has served as the Deputy Director of Local Government in the island, as the Director of Human and Institutional Development at the Mahaweli Authority and was the Director General of the National Transport Commission (NTC). Secretary to the Mahaweli Development and Environment Ministry Anura Dissanayake was also present at the occasion. Meanwhile senior administrative officer Mrs Vasantha Perera has been appointed as the new Secretary of the Ministry of Health, Nutrition and Indigenous Medicine. She received her appointment letter from President Maithripala Sirisena at the Presidential Secretariat on Thursday. Secretary to the President Udaya R. Seneviratne was also present at the occasion.